Richeson Handrolled Soft Pastels offer luxurious texture and incredibly rich colors in an innovative size suitable for studio or plein air work. The first whisper of a stroke on your surface will be enough to convince you that Richeson's pastel artisans have achieved a professional quality, pigment-rich soft pastel at an affordable price point. 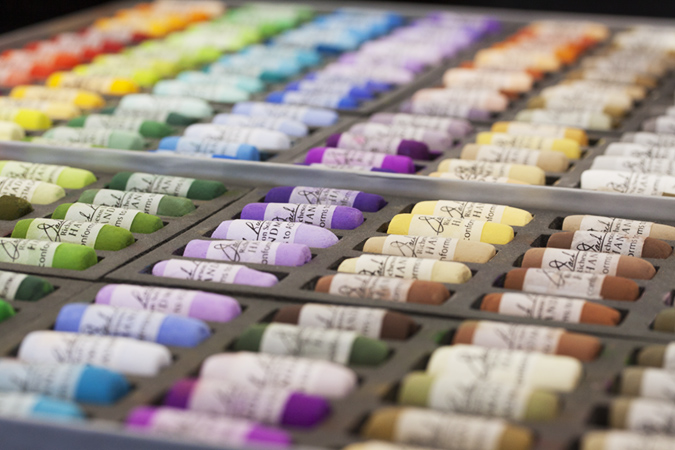 Richeson's carefully crafted 500+ color range has been divided into creative color sets to meet every artistic need. CHOOSE QUANTITY OF EACH ITEM, THEN CLICK THE 'ADD TO CART' BUTTON.